Do you sometimes like to look beyond the narrow bounds of self and family? I do. Because it’s a fascinating territory, an eco-system with a reach and dynamism you can’t control or quite fathom. I like it because it seems to soften people’s hearts, to create a space where it’s ok to give more than you get. I get a glimpse of what it means to be interdependent. Timebanking itself sets up a dynamic that runs counter to our ‘me-me-me’ obsession. Yes, TimeBankers are expected to both give and receive. The receiving part is key: it creates a vulnerability that connects us. We all need, us members of the human family. What I love most is when the giving and receiving is gracious. 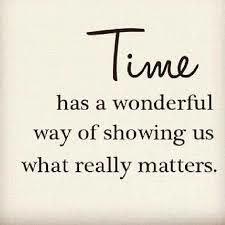 Time is a precious commodity. We hoard it, defend it, binge with it. We probably misuse it horribly. So when we do choose to spend time beyond our immediate kinship group, it’s especially powerful. It amounts to a kind of love.